How did Wolverine (Hugh Jackman) get his adamantium armouring and why doesn't he know anything about his past, when he joins Xavier's (Patrick Stewart) X-Men? The first instalment of the Origins series offers answers, but only canned action and less sophistication than the first trilogy. Illness-ridden James Howlett is born in the middle of the 19th century and will later be known as Logan or Wolverine (Hugh Jackman). The murder of his supposed father triggers Wolverine's mutant abilites for the first time and he commits homicide himself. 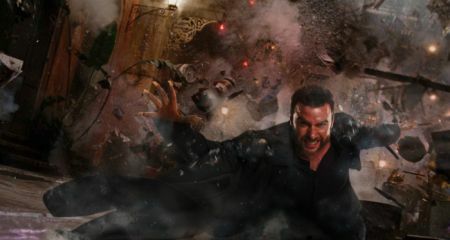 That is the reason why he and his brother Victor Creed (Liev Schreiber), whose mutant name is Sabretooth, have to flee. Owing to their extraordinary powers of self-healing the two of them stay quite young and healthy. After they have fought in many wars, Colonel William Stryker (Danny Huston) recruits the two brothers for his task force which consists solely of mutants. While Victor becomes more and more aggressive and gory, Logan's conscience makes him leave his brother and the team in order to lead a simple and quiet life as a lumberjack in Canada. Warm-hearted Kayla Silverfox (Lynn Collins), who Logan lives with, knows about his past and can live with it. After a couple of years Victor turns up again and kills their fellow team member Bradley (Dominic Monaghan), also called Bolt because he can manipulate electricity. Stryker sees Logan to ask him for help. But only after Victor has murdered innocent Kayla, Logan lets himself in for working with Stryker to take revenge on his brother. 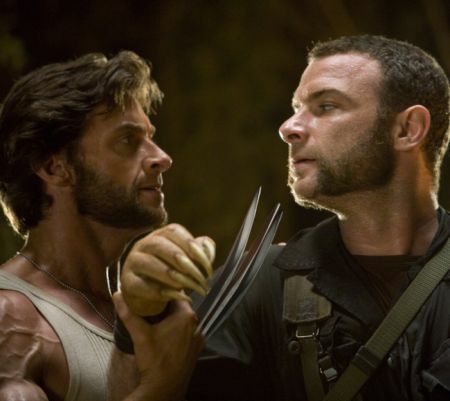 Wolverine (Hugh Jackman) & Sabretooth (Liev Schreiber). Like the title "X-Men Origins: Wolverine" already states this prequel or spin-off tells of Wolverine's background; at the same time many new characters, primarily mutants, are introduced, amongst them the card player Remy LeBeau also known as Gambit. 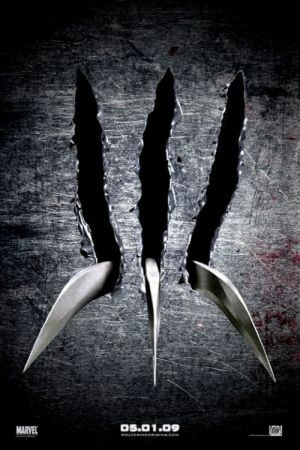 Nevertheless the focus is kept on Wolverine and his antagonist and brother Sabretooth. Endowed with similar abilities Sabretooth lacks Wolverine's conscience, with which he scrutinizes his actions and tries to fight his bestial rage. The juxtaposition of the two brothers is hardly utilized for a deeper psychological examination, for sadly the film focuses too much on vengeance. Of course this theme pushes the plot on, but the real conflict and especially the characterization are passed over. The characters are flat and construed only as means to an end. The psychology of the first instalment, "X-Men", falls by the wayside, so that "X-Men Origins: Wolverine" disappoints as a superficial retaliation campaign like Vin Diesel's "A Man Apart". 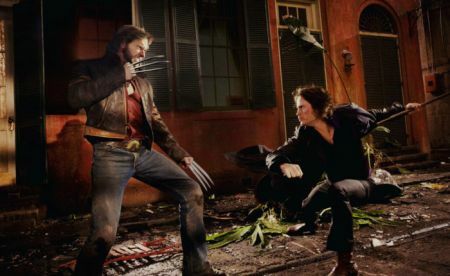 Wolverine vs. Gambit (Taylor Kitsch). In general, the character Wolverine captivates with his mysterious charisma. 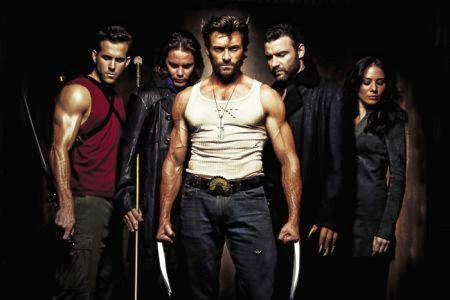 Do fans really want to know the quite witless trick with which the screenwriters David Benioff ("Troy", "The Kite Runner") and Skip Woods ("Swordfish", "Hitman") explain Wolverine's loss of memory? Does it benefit Wolverine to be explained? At least it would have done the X-Men series well if they had written a more intelligent story, which didn't employ as many clever twists as possible but put more emphasis on characterization. Gavin Hood's direction doesn't help in any way, although his "Tsotsi" has been much acclaimed. Despite a few great picture compositions, atmospheric photography and mainly felicitous effects, the many facial close-ups and the inept editing are annoying. But especially the film's end leaves the bad taste that many opportunities have been ignored by the filmmakers in order to have more action, and one wishes not to have seen it.